Spacious seed tray limits waste and promotes 360-degree feeding. Easy filling with twist-off lid. 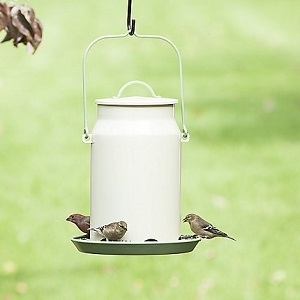 Holds up to 5 lb of mixed seed and sunflower seed.